If you’ve been following the Capital District beer scene for the last few years, you know Shmaltz Brewing Company – the brewer of the He’Brew brand of Jewish-themed beers – celebrates the opening of their Clifton Park brewery every summer. Last year it was very cold and windy, and the grand opening celebration in 2013 was hot and muggy. This year the temperature was fairly warm but without much humidity, though it was quite cloudy with impending rain. But nevermind the weather report, let’s talk about the event itself. The theme this year was that it would be a “Double Session” beer fest whereby every brewery would serve a session beer for the first two hours (1-3pm) and an imperial beer during the last two (3-5pm). I’m not sure how strictly this was followed as I didn’t arrive to the festival until close to 3 and it seemed like every table was serving both. Plus, there were a few guest breweries from out of state, namely Speakeasy and 21st Amendment; both of which are from San Francisco where Shmaltz owner Jeremy Cowan hails. Wishbone Session Double IPA by Shmaltz Brewing Company: An “old school” East Coast-style piney/resiny IPA. Beers like this seem to be an endangered species. Slingshot American Craft Lager by Shmaltz Brewing Company: This was on cask with lemongrass and peppercorn. You don’t tend to see lagers on cask that often, so I was curious to see how it was taste and drink in that format. It was noticeably thin and under carbonated. The spices gave it a unique and interesting flavor – almost like Snapple or some kind of herbal tea. It wasn’t amazing, but I’m glad I tried it. KUKA – Ginger Mango IPA by Andean Brewing Company, Inc.: I’m not usually a fan of ginger, though the idea of an IPA brewed with mango was appealing. Also, I know the brewer at KUKA and I’ve liked most of their beers I’ve tried. This was, unfortunately, kinda gross. Bright Light DIPA by Common Roots Brewing Company: An all-Citra hop DIPA. Strong citrus flavor, but dank and sweet like orange juice concentrate. One of the better beers of the day. Iron Horse Ale by Brown’s Brewing: This is a beer Brown’s only sells during the summer and is part of the “Ales for ALS” campaign. I’ve had it every summer for the last few years and always enjoyed it, but this year it seemed much different: very oniony and peppery (and not in that good New England-style IPA way). Did the beer change or did my palate? Czech Yourself Pils by C.H. Evans Brewing Company: Seemed overly sweet for a pilsner and not especially hoppy. Not that it was bad, just that it wasn’t a mind-blower. Beaver Overbite by Paradox Brewery: Probably the best beer I had all day thanks to its use of (I’m assuming) Mosaic hops. Huge aroma and hop flavor though not ridiculously bitter and very drinkable. Paradox is a hidden gem in the Upstate New York brewing scene. I wish I could buy a bottle of this. Lawrence Strong Ale by Mad Jack Brewing Co.: One of the nicest surprises of the day. Not a lambic, just a Belgian Strong Pale Ale with the addition of raspberries. Fruity and tart with a slight jam-like taste but in no way cloying. For such a strong beer it was quite refreshing. I’d think a version fermented with Brettanomyces would be really interesting. Super Kitty by Keegan Ales: I had this beer when it originally debuted a few years ago and thought it was a fantastic Imperial IPA/barleywine/American Strong Ale. This time around it was extremely sweet with a lemon lollipop taste and no discernable hop character. Normally, I enjoy everything Keegan Ales makes but this was disappointing. Sabbatical Session Ale by Rare Form Brewing Company: This beer still impresses me every time I drink. At only 3.8% ABV you’d think it’d be little more than hoppy water, but it’s actually a well-rounded, complex and highly drinkable brew. Even the mouthfeel is impressive. I like the combination of rye, coriander and orangepeel. I need to homebrew something like this for summer. Baby Elephant by Rushing Duck Brewing Company: I had this at TAP NY back in April and thought it was the best Session IPA I had the entire weekend. The same held true of this beer fest. Bon Bon 2xTNT IIPA by SingleCut Beersmiths: This is a fairly new brewery out of Queens. The beer seems to be brewed in the New England IPA style and it’s pretty much to spec. I liked it. He’Brew Death Of A Contract Brewer by Shmaltz Brewing Company: I’m not really sure what the point of barrel-aging this beer was. The hops were gone as was the carbonation. More of a bourbon-flavored dark ale. Meh. Bock Bock by Shmaltz Brewing Company: Ever since Shmaltz sold the Coney Island brand to Sam Adams a few years ago I haven’t been able to find any barrel-aged Human Blockhead, but Bock Bock seems to be their way of replacing it. Super sweet, but not cloying. A bit of a brown sugar taste and a touch of spice and noticeably hop character. Also quite crisp for such a big beer. I liked it so much I bought a bottle to take home to review. Manna On Rye by Shmaltz Brewing Company: This is a collaboration with the Jewish Whisky Company (who isn’t an actual distillery – the owner explained to me how it works but I couldn’t quite follow – oh well). Anyway, this is Shmaltz’s “Hop Manna IPA” aged in rye whisky barrel with mustard seeds added. Again, another interesting and unique brew, but nothing that blew my mind. It would be fun to give it a formal review on a clean palate, but 22oz bottles were $20 each – yikes! Hanukkah, Chanukah (2014) by Shmaltz Brewing Company: I wasn’t too crazy about the regular, bottled version of this beer last winter, but this was a bourbon barrel-aged edition which was definitely an improvement. I think the bourbon character may have overrode the base brew, but it was still plenty tasty and didn’t have the off flavor I remember the bottle version having. In retrospect, it’s difficult to believe I sampled so many brews in just a few hours. But like I said, I only drink an ounce or two per pour as I like to get a sense of a beer and then move on to the next one. 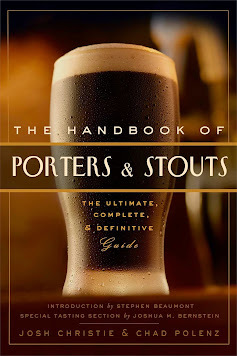 I notice that my opinion on a beer often varies greatly when I have a sample at a beer festival and when I have a full pour or a bottle at a bar or at home (sometimes for better, sometimes for worse). One thing that disappointed me, though, was the lack of stouts, porters and barleywines. Pretty much every brewery brought just Double IPAs and session IPAs. Hey, I like hops as much as the next beer nerd, but what I like even more is variety. Also in attendance was Saratoga’s own Death Wish Coffee Company. I wouldn’t consider myself a coffee connoisseur by any means, but trying a sample of Death Wish “neat” (no cream or sugar) was actually quite good. They were also serving a cold brewed version which I didn’t like as much, but I tried blending it with a few beers to see what happened. Just a splash of this coffee with even the strongest DIPAs was enough to override the palette. That’s not surprising considering this coffee is marketed as the “World’s Strongest”. In fact, Olde Saratoga Brewing actually made a Coffee IPA with Death Wish earlier this year that was pretty good (I was surprised they weren’t at this festival as they were the contract brewers for Shmaltz for many years). After all that drinking I needed something to eat, so I bought a doughboy and a chimichanga from Esperanto of Saratoga. Believe it or not, this was my first time trying food from this eatery. I really enjoyed the doughboy, which reminded me of an empanada, but in burrito form. The chimichanga wasn’t quite as impressive, but I still liked it. Then again, almost all food tastes great when you’re at a beer fest. All in all it was a great beer fest despite the relatively small size. Despite the gray sky it never did rain (hey, at least I didn’t have to worry about getting sunburned) and it wasn’t too hot or humid either. At only $25 a ticket, I think Shmaltz’s anniversary bash is one of the best-priced beer fests in the area (especially considering the brewers themselves are the ones pouring their beer – not volunteers or distributors). There’s another event coming up in August (albeit smaller); check it out if you can.